If you go to the UK, you’ll find the Asian community is far more rooted in tradition and culture than some of us in urban India. Let me get mildly technical here. There is a certain mapping that can be done. The UAE and Dubai behave like Bombay. The UK behaves like Gurgaon, Delhi and Punjab. They go for colour, glamour, music, song, dance. The USA behaves like Mysore. So the films that perform exceedingly well there are the ones that are more intelligent, like Piku, Pink, Neerja, Kapoor & Sons. The template for “evolved” Hindi cinema will work very well in North America. So you lump everyone under “NRI,” but there are differences. Ae Dil… is doing exceedingly well in the UK because it’s also doing very well in Delhi/Gurgaon. It’s doing very well in the USA because it’s also doing very well in Mysore. It’s doing well in the Bombay/Maharashtra belt, but nothing path-breaking. So that’s what it’s like in the UAE. Action, on the other hand, will do very well in the UAE but nobody in the UK will go to watch it. So I cannot design a movie for all this. I can only make the movie I want, and hope that the audiences – cumulatively – give us love. So, what do we have this week? 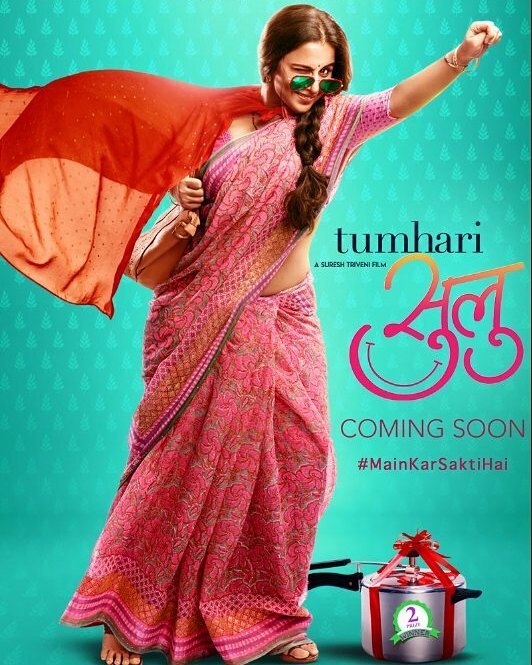 Tumhari Sulu, a more intelligent and “evolved” film, is doing well in the US. Well for a second week that is, about $2,250 per screen. Ittefaq is still doing solid business too, a little over $1,000 per screen. Meanwhile, in the UK, both those films have dropped off enormously, Tumhari Sulu is down to only $1,000 per screen in its second week, and Ittefaq is down to only one screen and $268 on that one screen. What Karan didn’t cover, but we all know, is that Australia and New Zealand behave like the Punjab usually. They like action films, mostly northern type action films. Which means nothing is playing there right now, Tumhari Sulu is doing less than $1,000 per screen and so is everything else. Karan also didn’t mention that Telugu usually does well in America, but it’s not doing well this week either, the top Indian film at the box office is Mental Madhilo, but it’s still making less than $2,000 per screen in opening week. So, what do all these trends mean? They mean it’s time for Padmavati to come out. Last week was good, was healthy. Ittefaq, Tumhari Sulu, Varna, Secret Superstar, they were all doing decent business everywhere. A variation of decent, but Varna was the kind of film Karan said that the UK would like, and he was right. And Golmaal Again and Mersal weren’t that old, they were still playing in the places that like something a little lighter. It wasn’t a great week, but it wasn’t a terribly bad week. This is a bad week, these numbers mean most theaters are now losing money. Which isn’t a big deal if it is just for one week. This is a healthy ebb and flow to the industry. 68 weeks or so of solid modest profits, then a big big release and a couple big big weeks, and then another 6 weeks or so of modest profits. When I say “big” release in terms of the global market, it means a movie that will do well everywhere. Better in some places than others, but well everywhere. Which is Padmavati. It’s got the action for Australia, New Zealand, and Canada. And the sweeping visuals for the UK market. And the “history” for the American intellectual types. If it were coming out as scheduled this Friday, then the US market would go up a solid amount, and the UK and Australia and New Zealand and Canada would go up a lot. But instead, there isn’t really anything coming out that will unify all those markets. Firangi, maybe, but that is definitely not a US film, or a UK film most likely. Instead every market in the world is going to be crawling along until Tiger Zinda Hai comes out on December 22. Which will also be a nice all over hit, clever enough for the US audience to give it a chance, plenty of action for Australia etc., and plenty of spectacle for the UK. On the other hand, the good news is, Padmavati is now pushed to February most likely, which was looking a bit empty. So things are bad all over now, but there will be a nice solid movement from Tiger Zinda Hai running for 6 weeks straight in to Padmavati finally opening. This entry was posted in Box Office, Uncategorized and tagged Box Office, Global Box Office, Ittefaq, Padmavati, Tumhari Sulu, Uncategorized by mredlich21. Bookmark the permalink. I read in Forbes that Secret Superstar had a big opening in Taiwan and may end up leading this year’s box office if they get an equally big opening in mainland China. Which would be a hugely interesting development since this is not an NRI audience. Tiger will be my first Bolly in a theater, yay! Aamir’s last few films has opened hugely in China, Dangal in particular. The problem is, China lies about numbers. Hollywood has started pulling back on what it sends to China as it has started to realize this. China has it’s own game, they are looking for co-productions and producing their own films, and lying about box office figures can help them with that. The numbers quoted for Dangal are literally unbelievable. Even if I didn’t know anything else, just common sense would tell me I couldn’t believe them. The population of China isn’t that much bigger than India, and they aren’t doing that much better economically, there’s no way a film could do soooooooooooooooooooooooo much ridiculous amounts of money. However, I do believe that they are doing very well in China and other non-NRI audience areas. Indian films have always challenged Hollywood films for dominance in the kind of “non-aligned” areas. Not America itself, or England, but very well in Asia and Russia and Egypt and the Middle East and so on. China has always fudged with the numbers.Especially economic data.As someone familiar with their work told me, it’s not as if they straight out lie to you.But you just can’t compare their data with yours.i expect this to translate to film collections too. It’s too bad in a way, I wouldn’t be surprised if Dangal is a record breaking success, only I had to reject it entirely when I was comparing figures because the Chinese numbers seemed so shakey. So I have no idea how much money it really made. Aren’t stats hard to collect in India too? Like I know in India there are mobile screens where they drive to villages to show the films. How do you measure that revenue? The business side of things is fascinating. I didn’t expect that part of it all to interest me but it does. Oh, India stats are terrible. That’s why I don’t report them. For one thing, the taxes and distributor’s cut is so high, there’s a benefit to theaters underreporting and keeping the money for themselves. The multiplexes and big chains are more organized and do a better job of it, which slants the figures in a different way, so the films that do well in those theaters always have a higher box office reported than the “single-screen” movies that are more likely to play at small theaters or country theaters which can get away with fudging their numbers. I definitely feel that the different way the business worked helped contribute to the different product. All of the different parts of it which helped build a business based on massive sales of cheap tickets. And now it is getting more “Corporate” and losing money and making a product that is a lot less distinguishable from Hollywood. Stuff as simple as the multiplex sales attracting wealthy young people with disposable income, versus the single screens which appeal to poorer people who want to go out with their whole families. And thus more movies that require English skills, have “adult” content, feel less masala.